Strapex labels provide an economical system for labelling your pallets. 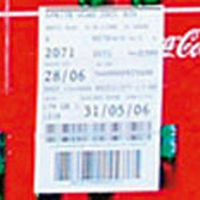 Strapex Cold seal labels are printed by the thermo transfer method and applied on the strap. Tailored to the needs of in-line labelling, they provide optimal identification. The labels withstand humidity and a wide range of temperatures.